Hung with the curtains, our range of decorative tassels adds a touch of style and difference to the decor of the rooms. Luxurious designs, vivacious colors and beautiful craftsmanship are some of the striking features of these tassels and key tassels. Through our manufacturing expertise and designing skills, these tassels and key tassels can be custom manufactured in designs, colors and sizes as per the client’s requirements. Size: Tassel 5" Loop 3"
Size 10.5cms. & Hanger 9.5cms. 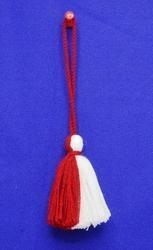 Size Tassel 10.5cms. & Hanger 9.5cms. 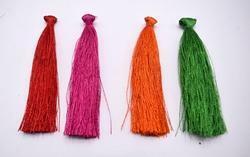 Size: Tassel 3" Loop 2"
Tassel for decorating curtains, cushion covers,pillow cover, garments & many more items. Delivery Time: 25 Days for M.O.Q. 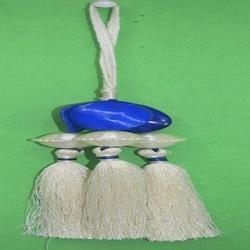 Tassels for decorating Curtains, Cushion Covers,Pillow Cover, Garments & Many more Items. 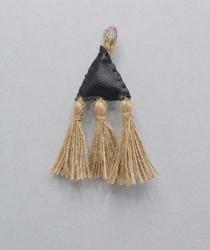 *A beautiful tassels can be used for multi-purpose. 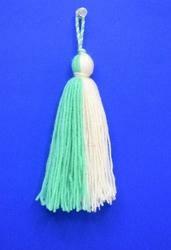 Tassel 3CMS , LOOP 2"
Size Tassel 6.5CMS & Hanger 5CMS. Size could be done as cutomer's request. Home furnishing tassel 7. 5"/6" mainly used to decorate sofas, window curtains, cushions borders, craft projects, costumes, wedding ring pillows. *Size Tassel 6" & Loop4". *Size Tassel 3.75" & Loop 2.75". 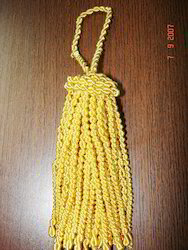 1)Size Tassel 4" & Loop 3". 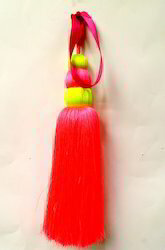 1)Size Tassel 10.5cms. & Hanger 12.5cms. Size Tassel 9cms. & Hanger 6.5cms. *Size Tassel 10.5cms. & Hanger 7.5cms. Size Tassel 3" & Loop 3". 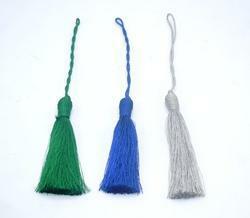 *Size Tassel 3" & Hanger 1.75". Size Tassel 4' & Hanger 4"
Size: Tassel 4" loop 3"
Looking for Tassel . ?